The Dominion fisheries museum first appeared at the Great International Fisheries Exhibition in London in 1883 offering a “didactic diorama” of Canadian fisheries and modeling fish as a coherent object of state administration. Models of fish, hatcheries, patrol vessels, and a plethora of other objects functioned as a compact material census of Canadian fisheries; the museum demonstrated that the state knew its fish and could rationally manage them for maximum production. The last time NiCHE featured my research, I was planning an ambitious study of Canadian natural history museums, and I speculated that my research would probably circle back to fisheries, my abiding passion. Fast forward and my dissertation is now completely dedicated to fisheries, though an unexplored area of them which is their representation in exhibitions and museums. 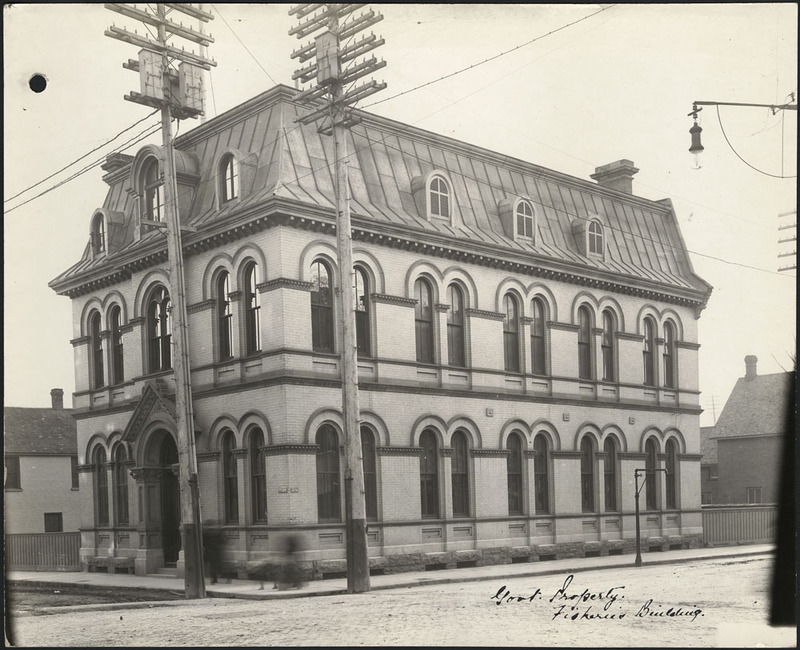 At the upcoming ASEH in Toronto, I will demonstrate how the popular understanding of fish as commodities helped bring about the demise of the fisheries museum in 1918. Fish make recalcitrant materials for modeling. Fin and scale are more fragile than fur and horn, making fish more difficult to preserve and mount. And when mounted, fish lack the illusory “liveness” that seems to animate taxidermied mammals. Fish with avian eyes, split seams, and cracked fins did not inspire confidence in scientific or administrative expertise. Such material challenges suggest why 19th century natural-history museums tended to avoid fish (apart from fossilized and alcohol-preserved ones) and left the job of public fish exhibition to civic aquariums. <href=”#_ftn2″ name=”_ftnref2″ title=””> That query was prompted by the relative absence of fish in both popular and academic accounts of wildlife. Fish are not warm and cuddly but cold and remote: hidden in the depths of lakes or oceans, they are elusive if not invisible to most people. For natural history museums dedicated to celebrating a “national nature,” fish make rather poor citizens of wildlife. And while fishers and aquarium-keepers develop aesthetic and experiential bonds with fish, many people more commonly encounter fish in commodity form, such as canned salmon or a battered filet in fish-and-chips. My ASEH talk will describe the fisheries museum’s exhibits at the Canadian National Exhibition (CNE) in Toronto between 1913 and 1918. The fisheries museum collection was incorporated into an exhibit designed to promote fish consumption and convince consumers that it was a safe “sanitary” food. This campaign, which also included a fish cookbook and a fish restaurant, was infused with gendered and patriotic ideas about fish consumption, which intensified in 1917 when the campaign was integrated into Canada’s war-time food strategy. The CNE experience convinced fisheries officials that the fisheries museum was outmoded if not fusty. Consumer-oriented exhibits of fish in various commodity forms—from fresh to smoked—were more effective than displays of badly mounted dead fish arranged in systematic order. The CNE exhibits also reveal the changing landscape of fisheries and Canadian food production in the first decades of the 20th century. Fisheries—especially the Atlantic fisheries deemed to be “languishing”—were on the cusp of industrialization as the first steam trawlers began fishing off Nova Scotia. And while the artisanal production of salt cod was still strong, fresh and frozen fish were increasingly important. At the CNE, these problems of production were re-imagined in terms of consumption, a gendered act that fisheries officials hoped cookbooks and restaurants could stimulate to increase. This particular episode in the fisheries museum’s brief history has particular contemporary resonance for me. In the first decade of the 20th century, central fisheries administrators were searching for ways to match the increasingly industrial production of fish with consumption by stimulating and supporting demand. A century later, local Canadian fishing communities are also seeking to stimulate demand for fish—but for those caught in small-scale fisheries. The challenge is to protect these fisheries from the economies-of-scale logic that drove industrial fishing while ensuring market access and fair prices for producers. There are some interesting projects that hope to accomplish this objective, including the first community-supported fisheries that bring the CSA farming-model to the sea. One organization promoting this approach—and which I want to recommend in conclusion—is the Ecology Action Centre in Halifax, which publishes a great blog called “Small Scales” (http://smallscales.ca/). artists (JJHumme/EdScopeShrapnel)that did the artwork for CdnGallery,IFEx.1883.Very cool.Where did you find this image? Happily, LAC bought this painting at auction last September and it is now part of their collection.